Well firstly you might be wondering what are casement windows, they are windows hinged on the side and swing out like a door, to the right or left, in a swinging motion. Casement windows comprise either a side-hung, top-hung, or occasionally bottom-hung sash or a combination of these types, sometimes with fixed panels on one or more sides of the sash. They are most common in newer homes as they feature a more contemporary design style, and allow more light to enter the widows, while also providing a larger view. Casement windows are among the most energy-efficient, ventilating window style. Graceful styling and high-tech engineering make casements a popular choice. They’re the perfect choice above cabinets, counters, or areas where opening and closing require a reach to crank them outward and direct the fresh air indoors. They open easily for better ventilation, and shut tightly to ensure energy-efficiency. Casement windows are one of many styles of both new and replacement windows. Replacement materials for windows include wood, vinyl, metals such as aluminium and steel, fiberglass and wood clad windows. While wood replacement windows are still the most popular option when replacing home’s windows, vinyl replacement windows are very easy to maintain and will never require painting. Aluminium replacement windows are mostly used in commercial applications, but are also a good choice for basement windows.  Contact crown for information about casement windows including purchasing installation and additional benefits information.